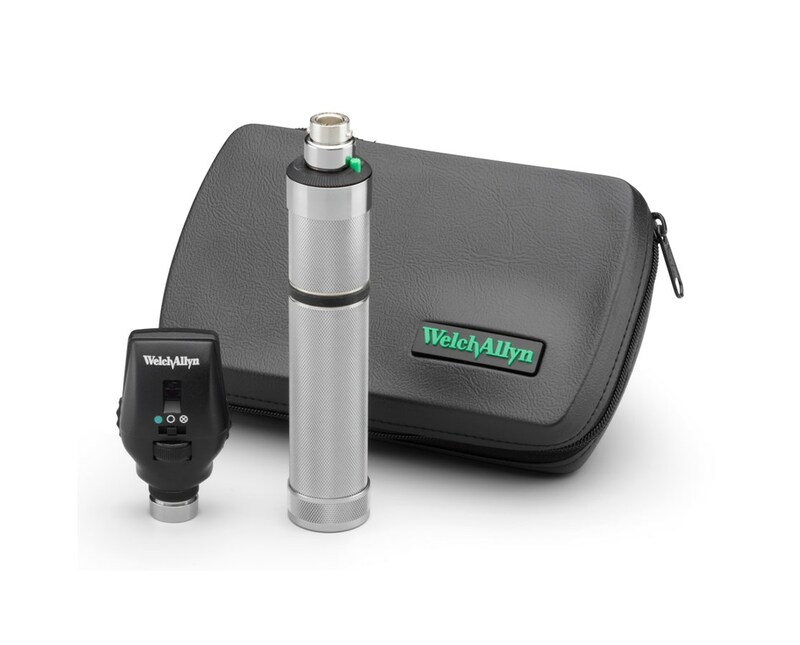 The Welch Allyn 3.5v Ophthalmoscope Set is an easy way of entry into the eye that provides a larger and reduced-glare field of view compared to Standard Ophthalmoscopes. Awesome Design. 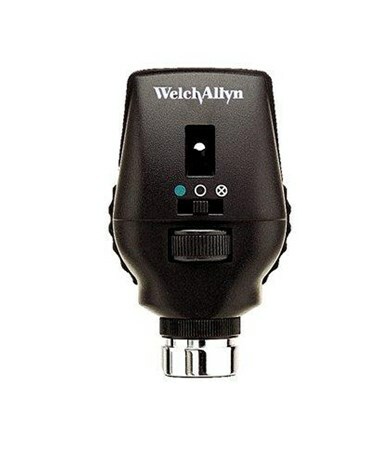 With its better light output, The 3.5V Ophthalmoscope Set makes refractions easier. 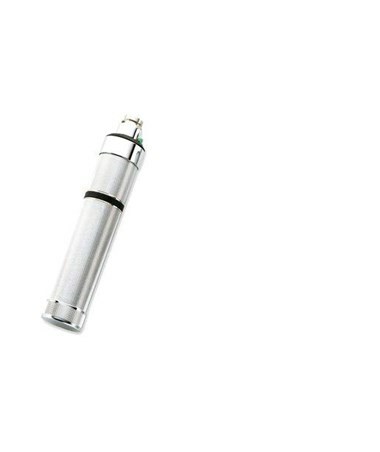 It features the brightest, cleanest and sharpest streaks which are 2.8x more enhanced in light quality and brightness. The 60-minute brass handle has a smooth and non-abrasive knurled chrome-plated finish for a non-slip grip, durability, and ease of use. A Variety of Choices. 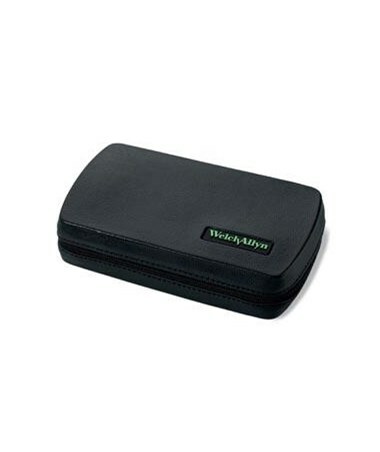 The 3.5v Ophthalmoscope Set has an option of either a Coaxial or AutoStep® Coaxial Ophthalmoscope. 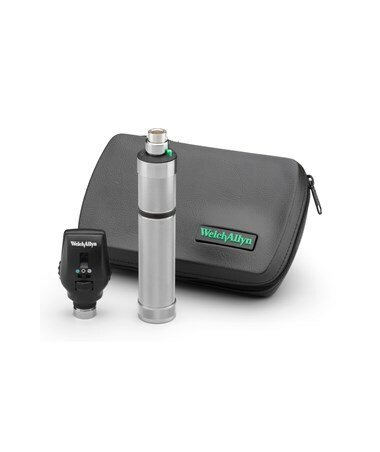 The Coaxial Ophthalmoscope utilizes a patented coaxial system wherein the axes of illumination and retinal vision is aligned to eliminate shadows & reflections for a clear & precise examination. It features 28 lenses with a range of -25 to +40 diopters and 18 possible apertures. The AutoStep® Coaxial Ophthalmoscope utilizes Halonge HPX Lamp illumination for true-tissue color and a bright white light that is necessary for optimal examination conditions. It features 68 lenses in a single-diopter step and 18 unique aperture/filter combinations. Select your preferences from the drop-down menus above. 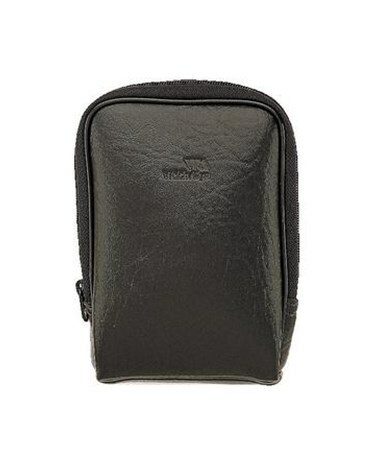 Your choice of hard or soft case for maximum portability, convenience, protection, and instrument lifespan.